The K2 Alexis 84 Boa® Womens Inline Skate proves you don't need to compromise comfort and convenience to get the performance you need. 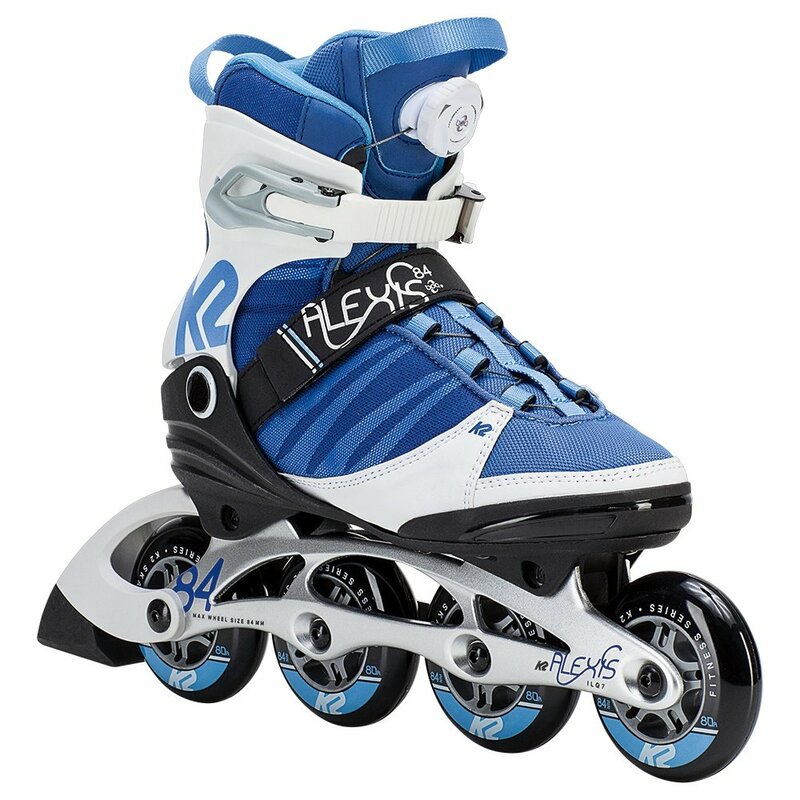 With a D.C. Aluminum Frame and a Stability Plus Cuff, this skate efficiently transfers your energy down to the 84mm wheels mounted underneath. But while all that hard work is going on underneath you'll be cradled in comfort thanks to K2's Original SoftBoot® construction. Better ventilated and allowing for a superior fit, the flexible section of the upper is secured with a Boa® Closure System that lets you dial in the perfect fit every time.